KATHLEEN DEAN MOORE is the author of numerous winning environmental books. 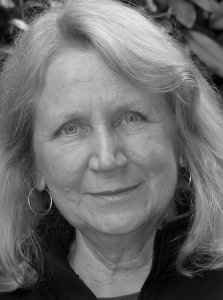 She was awarded the Sigurd Olson Nature Writing award for Holdfast: A Home in the Natural World. She holds a PhD from the University of Colorado. As Distinguished Professor of Philosophy at Oregon State, she taught critical thinking and environmental ethics, and cofounded the Spring Creek Project for Ideas, Nature, and the Written Word.